If you are unsure if you should call, then call. The 911 Center can also be reached by the 24 hour non-emergency number. The non-emergency line into the 911 center is (360)875-9397 or (360)642-9397. 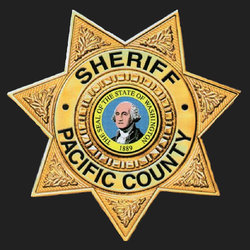 When you call 911, it can take 7 seconds or more for the call to be processed through the complex 911 switches when placing a call from Pacific County. Even if you don’t hear the phone ring immediately after dialing 911, Stay on the line. Do NOT hang up. If you are calling from a phone which routes through a PBX, that may add several more seconds. A 911 Telecommunicator will answer the phone by asking “911 where is your emergency?” Be prepared to give a specific answer to where your emergency is taking place. This could include the address, the closest cross streets/intersections, a visible landmark or highway mile post. GPS location from your cell phone is not accurate and cannot be relied upon. Be aware of where you are.